That is not the end of the matter, as the site has to be sold by the Government, then a Development Application submitted by the successful buyer to actually build anything. Residents should have a further opportunity to comment on this DA. building height of 2-storeys on the Frencham St side and 4-storeys elsewhere. 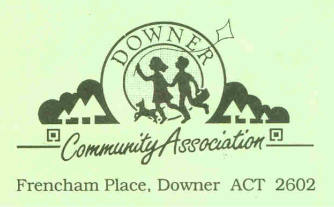 The Community Association will be monitoring progress to ensure the best outcomes for Downer reidents. We are in close contact with Community Housing Canberra, who often attend our monthly Management Committee meetings. These are held on the 1st Monday of each month, and Downer residents are welcome to attend these meetings. DCA is maintaining close contact with CHC, who have indicated that they wish to engage closely with the Downer Community so that residents' views on the proposed development are considered. They have established a special web page at http://www.chcatdowner.com.au to assist this. This site allows people to sign up to an email newsletter (first one available at http://us11.campaign-archive1.com/?u=727e3eb5e1f8e006097e7b14b&id=13bf324060 ). Eventually, the website will be fully developed to allow community input. One of the most important features will be a Q and A page, to publish questions and answers about the development. There will be a ‘contact form’ on the website, which CHC will use to respond to queries and explain how or why things are being done. In coming months CHC plan to have a portable office on the Downer site as an information centre which will be staffed on weekends.